Dr. Mary E. Ruthi is chair of the Division of History, Social Sciences, and Education. She received her B.A in sociology and history from Sterling College in Sterling, Kansas, and her M.A and Ph.D. in sociology from the University of Nebraska-Lincoln. 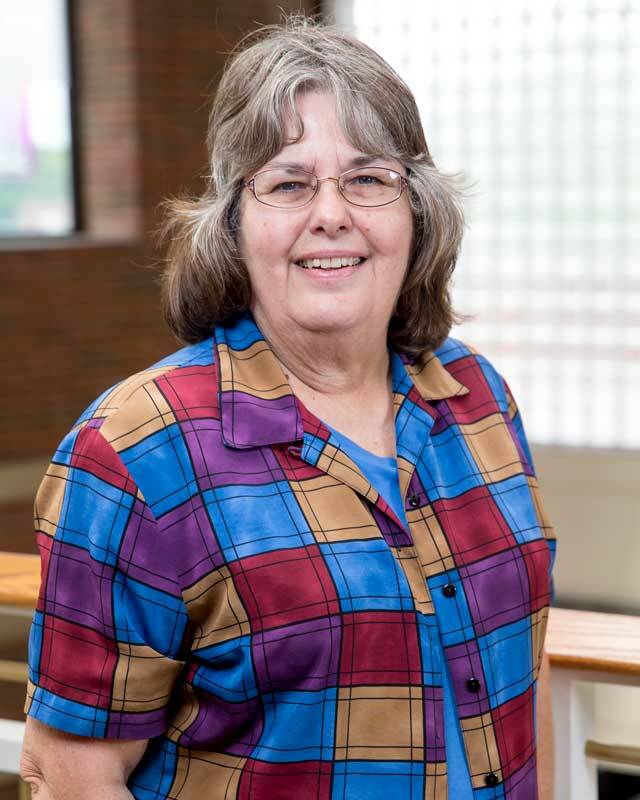 Ruthi came to HU in 1978, but left for a short time to teach sociology at Sterling College. She returned in 1983. She lives in the Fort Wayne area with her husband, Ervin Hoffman, who is a farmer. She likes to garden and cook (especially cookies), and is the president of the Huntington Altrusa Club and Secretary of the Huntington Community and Family Services Advisory Board. She is a member of the Optimist Club Reading Buddy Program at Lincoln Elementary School, serving as Reading Buddy to children. Ruthi is a member of First Presbyterian Church in Huntington.